Conveniently located in the heart of Aspen, you’ll no longer need to search through town for your salon needs. Blowout Bar / Hair Styling, Makeup Artistry, Nails, Facial Waxing and more; we provide them all with techniques to make you look and feel your very best. Our wide selection of luxury salon services is provided with high-quality products! When you need to look your best, let our beauty salon experts give it to you. We can help you achieve hairstyles that incorporate classic or trending locks to suit any occasion. Don’t have time to drive in for an appointment or just fuss with leaving your hotel room or home? No problem! Our stylists can be requested onsite to save you time and hassle. After your haircut, enjoy a blow dry bar experience where each and every stylist gives a fabulous blow out! Let Full Circle bring the beauty to you for your Aspen wedding, special event or priceless family portraits. 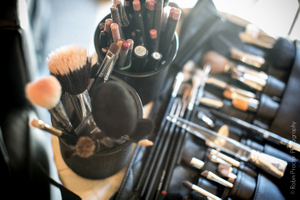 You supply the place in Aspen or Snowmass and Full Circle will bring the makeup! Manicure, pedicures, Shellac and so much more—salon nails at our place or yours, we can meet your beauty needs. Shellac Nails – Yes, we’re obsessed with them, and we all know why—they last! Shellac nails are a step-up from the regular manicure because of its ability to stay beautiful for weeks. The color of your choice is applied and cured with a special light to ensure it dries in no time at all. The results are a high shine durable color that doesn’t damage your natural nail like gel nails or acrylic nails. Have a need for help with your bridal event? We have the experience to handle trending and classic hair and makeup styles for your bridal party. We also participate in regular fashion events in Aspen rocking the latest styles.